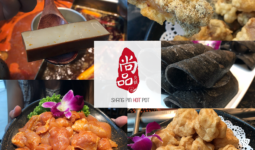 Come CNY, the restaurants at Millenia Walk have created a range of unique and delicious dishes and promotions to usher in the Year of the Pig where one can expect to enjoy exclusive deals and exciting contests while you shop & dine. 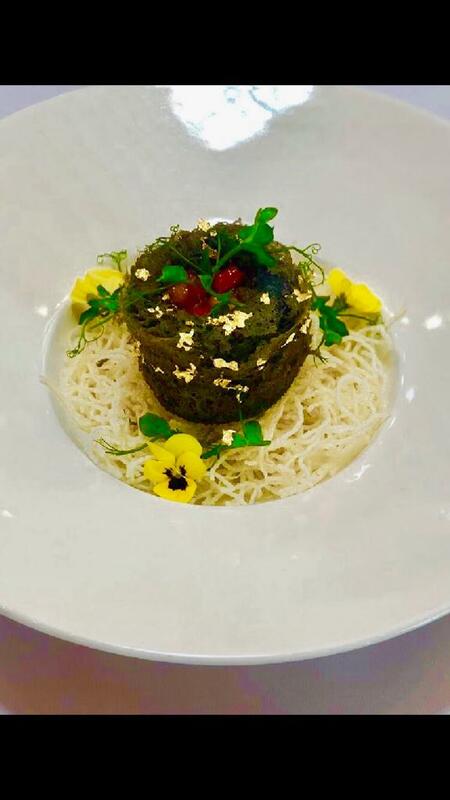 Whether you’re vegan, or looking for the usual fare, or desserts perhaps for sweet pickings- delight your palate in their range of F&B outlets. Meat eaters can rejoice as Paulaner’s famous crispy pork belly on a potato cucumber salad accompanied by their famous dark beer sauce – a fan favourite (beer makes it sound all the better). You can wash it all down with their famous selection of beers. 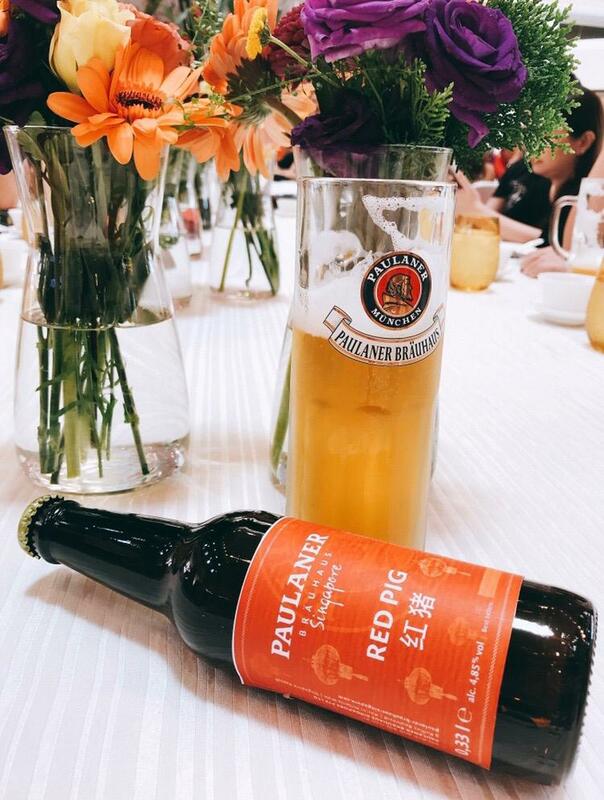 Paulaner is offering a special Edition Red Pig Beer, which is bottom-fermented and brewed with a special Lunar New Year Label. 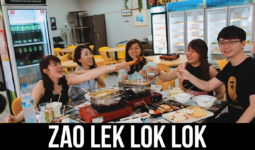 So festive , so huat! 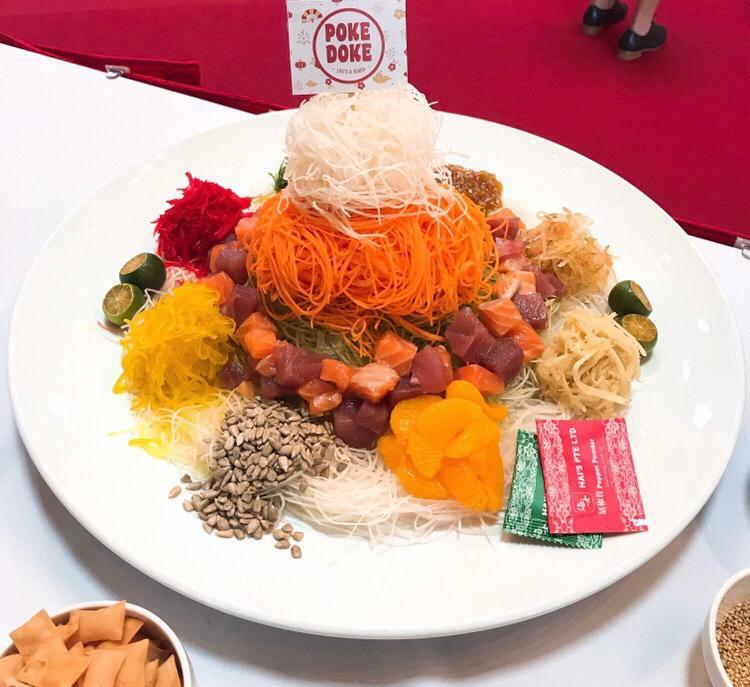 For a ‘meatier’ option, there is the award-winning Saboten free-range pork dish. The pork is sourced from an RSPCA approved farm and has no added hormones. 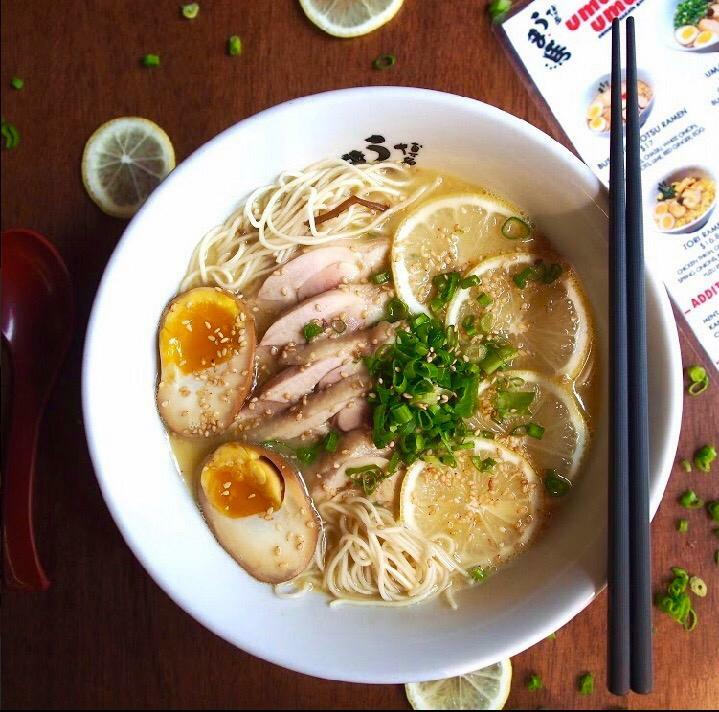 Uma Uma offers their famous Torimon Ramen, which is a comforting and traditional match of tori (chicken) and lemon. Thin Hakata noodles, chicken thigh and egg are served in a rich chicken broth that’s well balanced with a hint of cirtrus. The unique think about this ramen is that it’s boiled for 7 hours with chicken bones instead of their signature pork bones. That’s not all , there’s also the double-boiled truffle soup by Elemen. 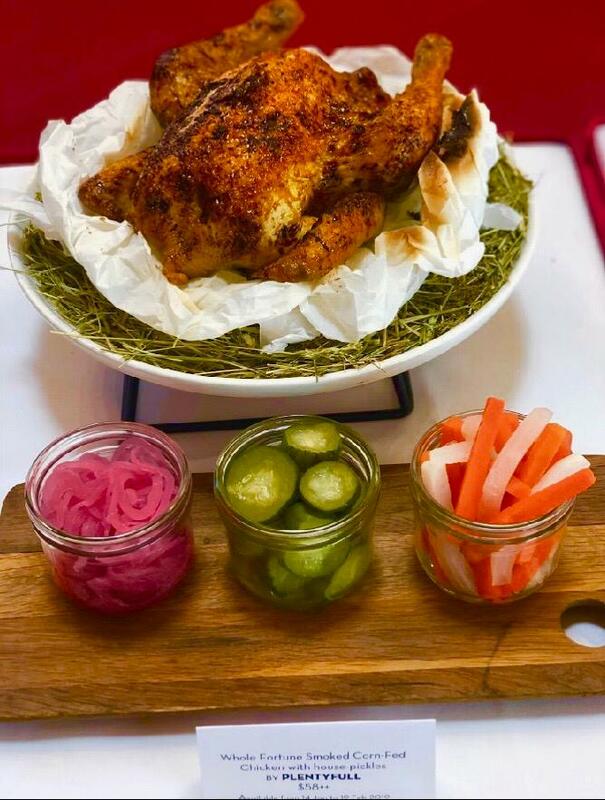 Rich with the fragrance of truffle shavings and truffle oil that is slow-cooked for over 6-hours with goji berries, monkey head mushrooms, and an assortment of nutritional Chinese herbs. Not only helpful in promoting blood circulation, but this heart-warming soup also helps reduce high blood pressure. Another great option would be their yam ring, which is served with a medley of fresh, seasonal vegetables. The Dark Gallery also offers a variety of choices for those with a sweet tooth, including Frozen S’mores. 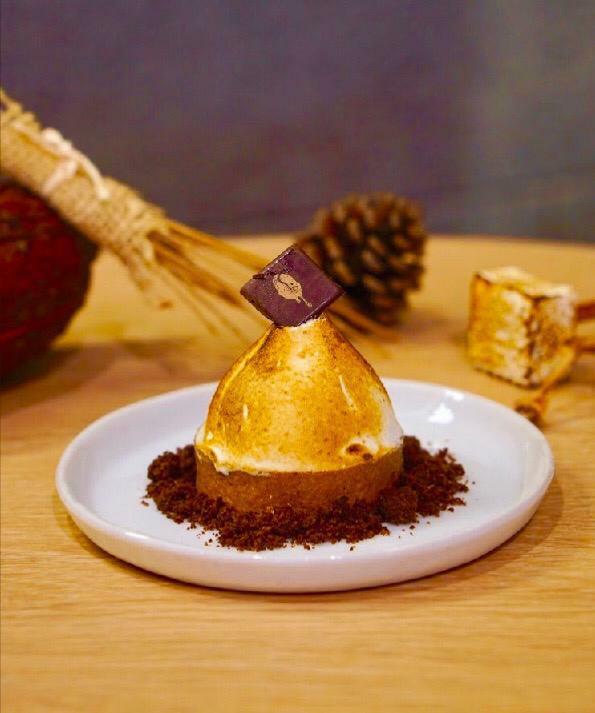 These delicious sweet treats consist of a Graham Tart Shell with their Signature 80% Dark Chocolate Ice Cream, Dark Chocolate Ganache, and Torched Marshmallow. Feeling thirsty while shopping? 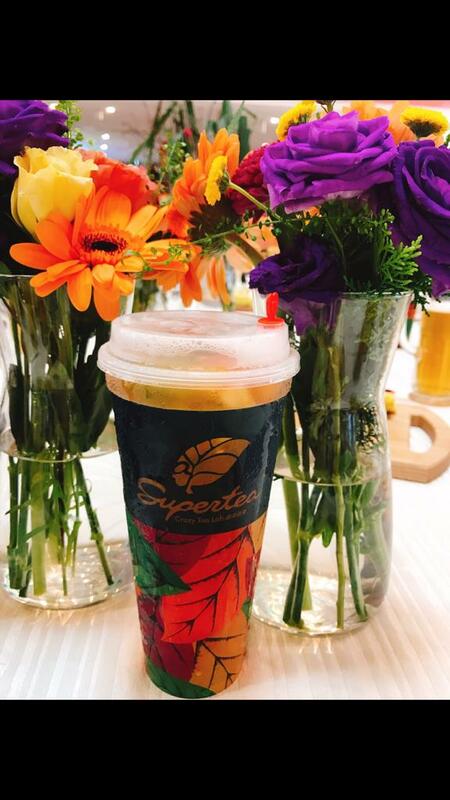 Just drop by Super Tea to enjoy the refreshing 凤梨梨不不知春 or Blossom Pineapple, which is a unique blend of pineapple, passion fruit and peach Oolong that truly reflects the essence of modern tea. Pretty obvious you can’t cover it all in one visit lol! 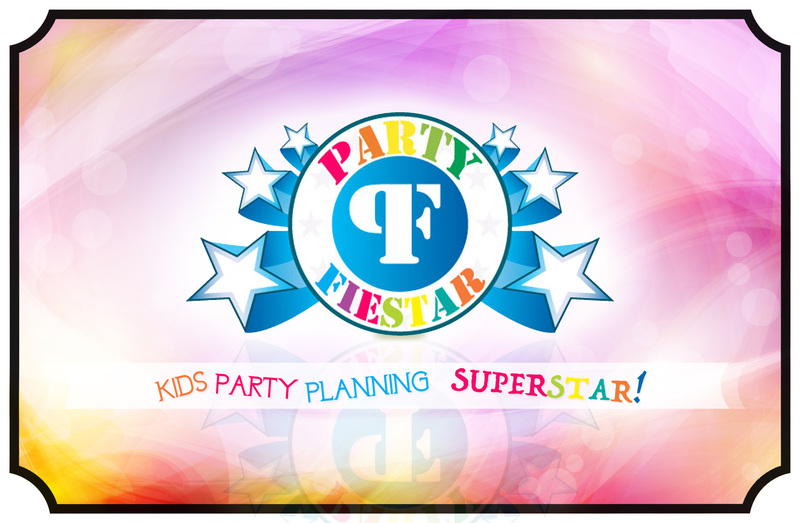 Ye shoppers stand a chance to win amazing prizes! day. Present your receipts worth $88 or more at the mall’s service desk to enter the electronic lucky draw. more you spend, the more chances you have of winning. 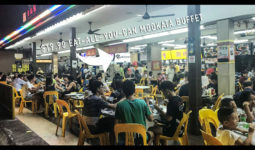 New Mookata @ Yishun Blk 848 Opens Until 2am Daily!